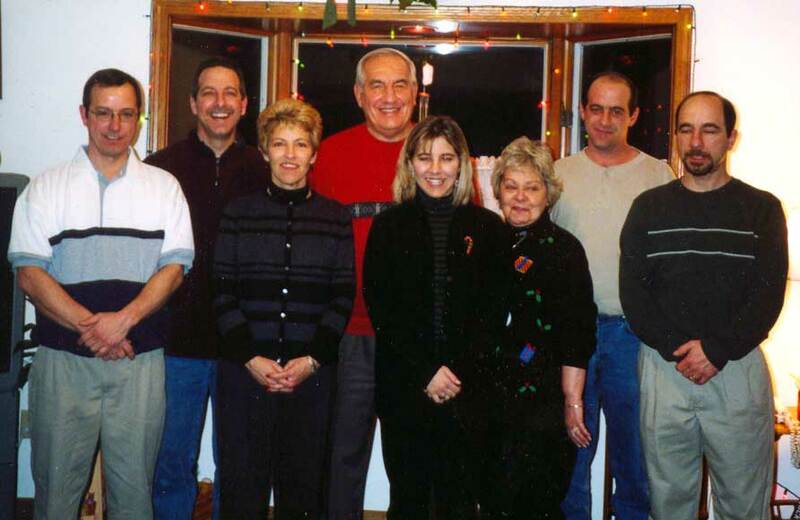 New Year's Day 1935 saw Gino Paoloni enter into our world. He was born in the Collinwood area. Both of his parents were from Italy. He has one sibling, an older sister, Tina. 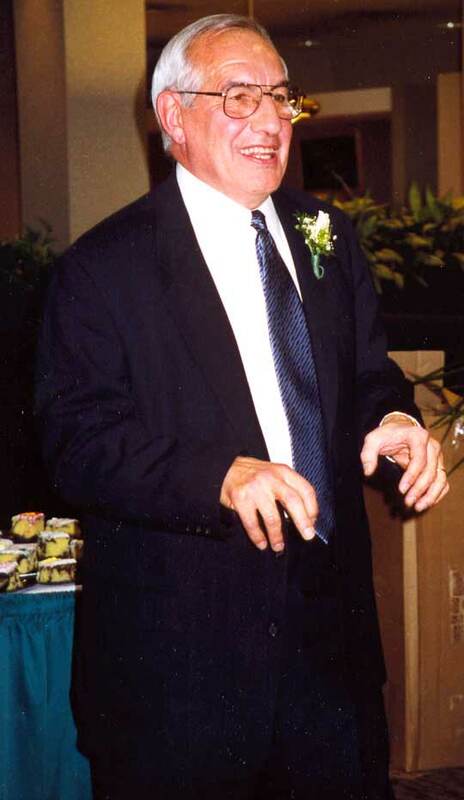 Gino graduated from St. Ignatius High School in 1952 and is the only member of the Collinwood Hall of Fame that never went to Collinwood High School. Gino stayed in the Collinwood area until 1950 when he moved to Rushleigh Road in Cleveland Heights. After graduating he was granted a football scholarship to Xavier College in Cincinnati, Ohio where he majored in business. In his 3rd year he broke his leg and came home. His formal education did not stop there though. Although he started at Xavier in 1952 he didn't graduate until 1974 - and that was from John Carroll. At the age of 39 he earned his undergraduate degree in Business Accounting. "A month later I got the biggest promotion of my life. I think it a reward for being so persistent!" When he returned from Xavier he rekindled a friendship with Pat Ryan a young girl who was one year behind him at St. Joseph's Collinwood elementary school. 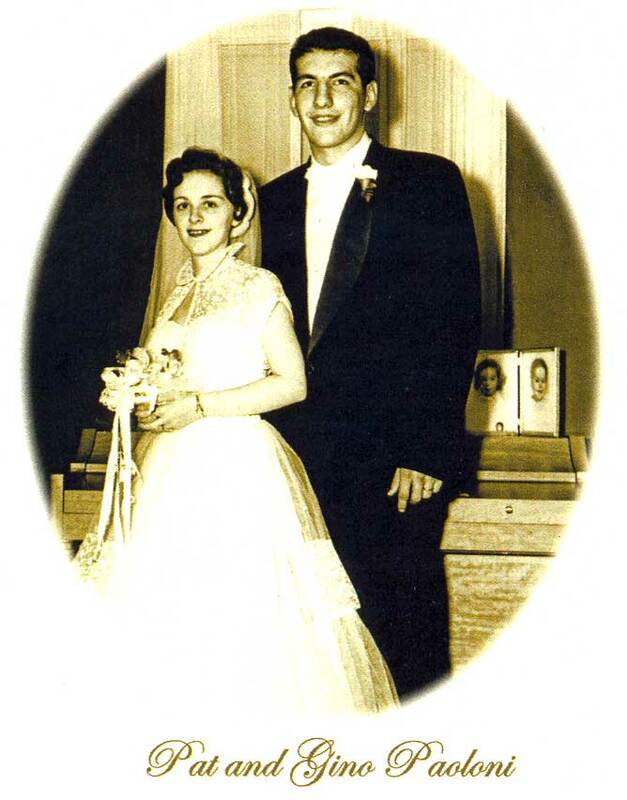 At the age of 19, on October 2, 1954 Pat and Gino were married. Now, fifty years later they are still very happy and very much in love. They share six children and fifteen grandchildren. 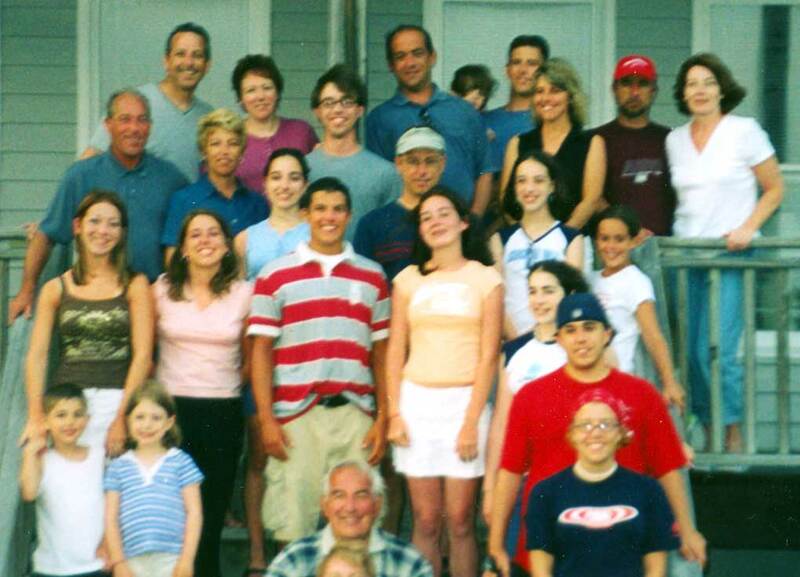 The children are Michael (married to Barbara with 3 children); Colleen (married to Michael with 2 children); Gino (married to Kelli with 4 children); Dan (married to Bridie with 3 children); Tom (with one child) and; Dina (married to Bill with 2 children). 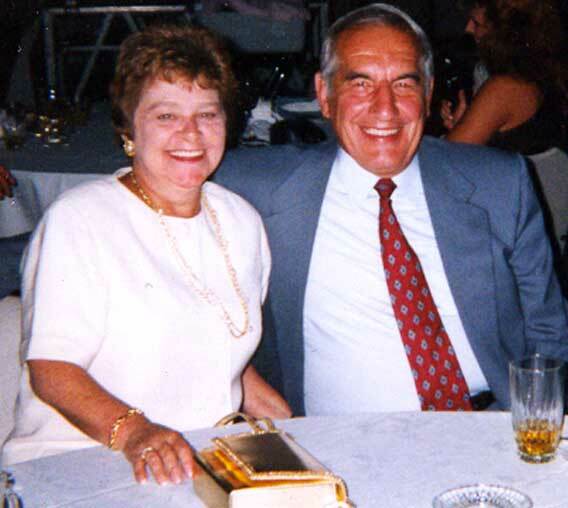 Gino went to work at General Electric in 1954 and stayed there until his retirement in January 2000. He worked in a number of management and finance positions while he was there. 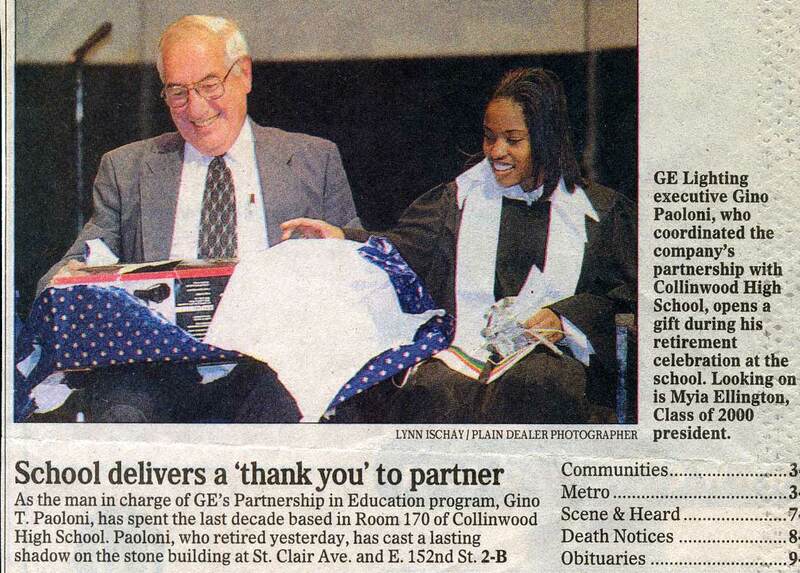 The last ten years of his time at GE were spent devoted to Collinwood Area Schools. Anyone born or raised in Collinwood will tell you that no matter where you move later in life, Collinwood will always be in your heart and Gino was surely not the exception. 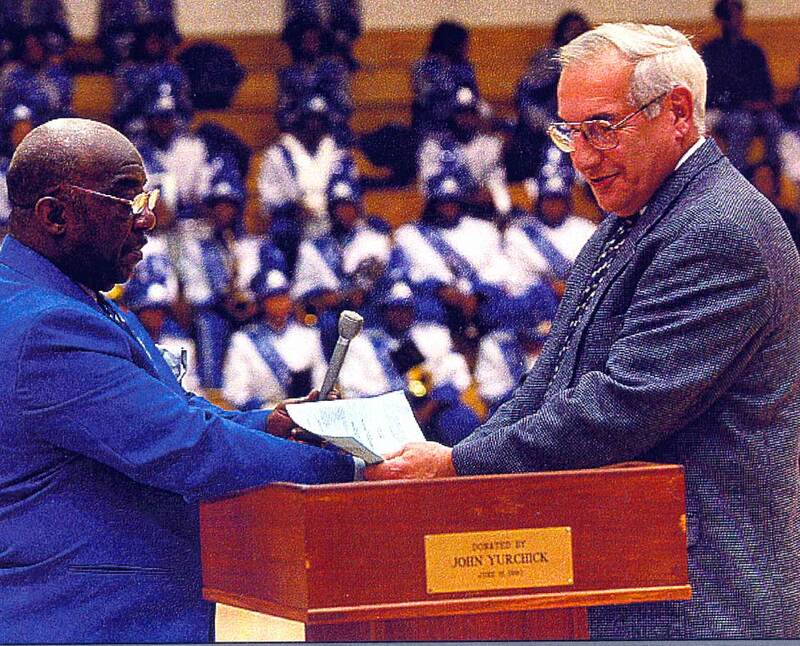 There was a campaign beginning in 1989 to raise awareness to the needs of Cleveland Public Schools. Bill Gillespie (CEO of Society National Bank) was approached by the Superintendent of Schools to help enlist corporate support. Each business that participated was assigned a specific school. East Ohio Gas Company was assigned JFK; Society was assigned East High and GE was assigned Collinwood. GE wanted to assign one full time person to the project with the schools so they could really have a feeling for what was needed and what was happening in the school. At the same time as this was going on Gino was coaching in the Northeast Football League, a non-profit league for boys 9-14. He started out as a coach and moved on to the Board of Directors. GE sponsored the Philippe Award for Community Service and because of his work with the Football League; Gino was nominated and ultimately won. The CEO of GE was made aware of Gino and his involvement in the community and knew immediately that if he was willing, Gino was the man for the Collinwood position. Gino jumped at the chance. He looked at it as a blessing, it was not only a new opportunity but as the liaison for the school he really had a chance to make a difference at a school, in a neighborhood so dear to his heart. Under Gino's direction, programs were set up to improve student performances. Many of the GE employees offered their own time to help tutor. "Tons of hours were donated by GE people - GE and its employees really came through"
"The CEO was amazing. He insisted on hands on support. Otherwise this never could have taken off the way it did. If it wasn't for this program I probably would have retired long before I did, but I couldn't walk away." The program primarily consisted of 3 areas. The first was assisting students who were interested in becoming teachers. The second was a Junior ROTC (Reserve Officer Training Corps) and the third was the Collinwood Academic School of Technology. The helped the students with preparation for their SAT's and the number of college bound students more than doubled! Gino helped implement "Fill the Gap" scholarships. In increments of $1,000 each these scholarships were specifically designed to help with books, supplies, and other necessities not covered by other grants or scholarships. The program still continues today. Gino put together a strategic plan to keep GE, the community and the students moving forward. GE promoted partnerships like this throughout the country. GE's CEO Jack Welch even volunteered as a mentor and tutor in the Connecticut operation. Gino's retirement was a sad day for the Collinwood School system. They paid appropriate homage with a presentation by the students at a special assembly. 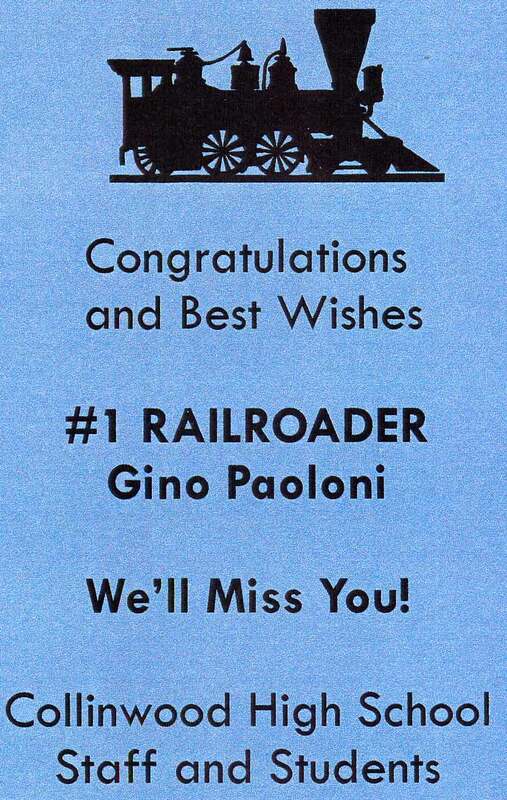 But his retirement was short lived - barely a year after leaving Gino was back "part-time". As was mentioned above, while Gino was working at GE Collinwood he was also very active in the Northeast Football League. The goal of the League was to help kids who couldn't play or didn't have football in their schools. The League ran from 1966 to about 1986 and Gino was there for most of that. "I was involved with some pretty amazing coaches, people who became my really great friends. 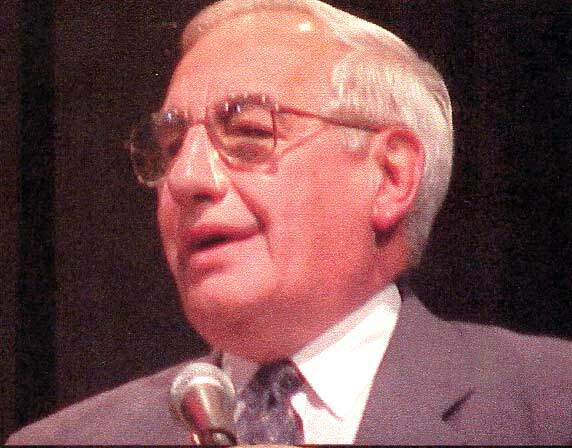 People like Norm Hanson, Rip Rymarczyk, Andy Balas, Lloyd McKenna and Jerry Conachan." Three of his sons played in the League, all except Michael. At its peak the League had about 700 kids. Each team was entirely responsible for their own funding and equipment. To this day Gino has people come up to him and remind him that he coached them or someone they knew. "It was a wonderful program that gave all kids an equal opportunity to play. There was no championship game - it wasn't about that. It was all about the kids and playing football." Gino loves all kinds of sports. He played softball until he was 60 and coached in Cleveland Heights League. 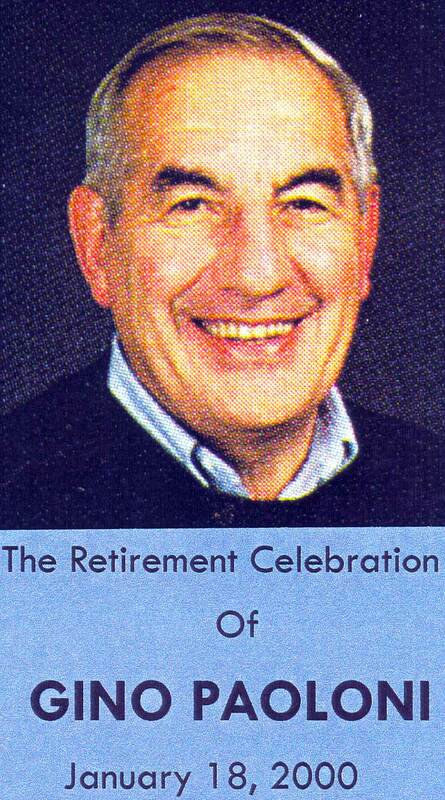 He and his son, Michael were inducted into the Cleveland Heights Softball Hall of Fame at the same time, 1999. He plays golf "if you can call it that" and loves spending time with his grandchildren. "There's nothing as special as when you hear a child call out for "Papa" and I think - that's me!" The kids and grandkids come over every Sunday for Grandma's pasta - the numbers range anywhere from 6 to 30! "The biggest thrill of my life is that my kids all get along so well. They talk to each other like friends and I love that." If someone misses a Sunday feast grandma sends home food, just so no one goes hungry!" Gino is also an avid card player ("That's like the golf. I love the game, but how good I am is questionable.") He has been playing gin once a month with the same group for decades. He does two or three crossword puzzles a day just to keep his mind active and he enjoys going on rides with Pat to "local" casinos like Mountaineer. 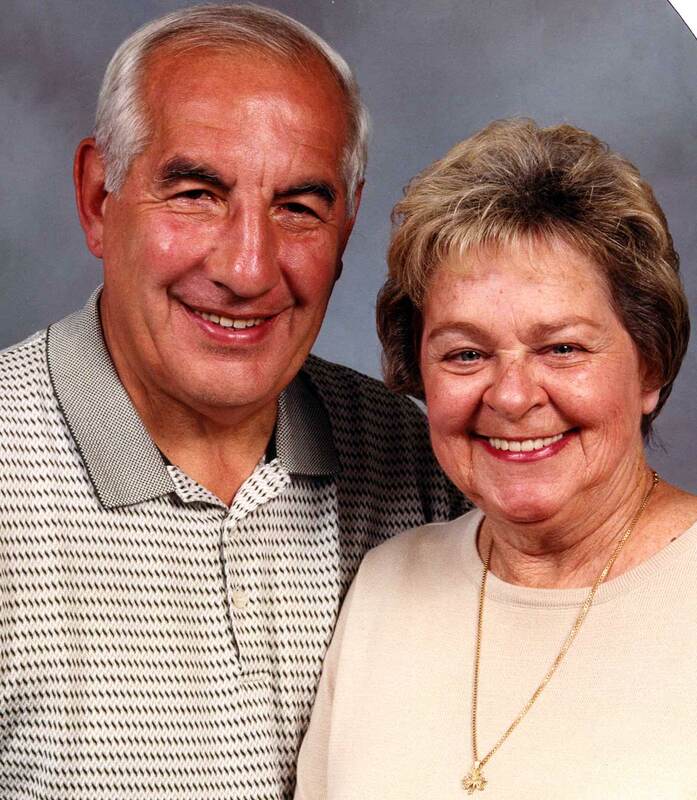 With all of his accomplishments and kudos from so many different areas of life, Gino is most proud of his family and his 50 years of marriage. "I feel blessed and fortunate that we were able to make it together. I thank God every day that my wife was so understanding. There were a lot of diapers and of course if one kid got sick they all got sick. It was very hard for Pat, but she was fantastic. Me? I went off to work. She was, and is, a very special lady." "I'd like people to think I'm easy to get along with. I'm not a very controversial person, I shy away from that." Gino's Catholic faith is also very important to him. "Without that, none of this makes sense." Through the years Gino has been involved in so many groups it is hard for him to walk down the street without running into a friend. From Collinwood to Ignatius to Xavier to John Carroll to GE to Northeast Football to his large family, everybody knows and loves Gino. Almost everyone has someone, someplace that doesn't like them. It doesn't make them a bad person; some people just don't hit it off. But Gino is one of those rare people that everybody likes. The mere mention of his name brings about smiles and stories about what a good man and good friend he is. Can you really ask any more than that from a person?